Determining whom to blame for injury claims involving dangerous drugs requires meticulous investigation. Different types of lawsuits against guilty defendants can arise. Manufacturers, doctors, nurses, pharmacists, and their employers can be held to account, solely or in combination, depending on the circumstances of the case. Because there are so many steps between the creation of a new drug and its eventual use by a patient, it can be especially difficult to determine who is responsible for a drug injury. Drug manufacturers are legally required to take certain steps to keep the public safe. If they fail to properly test a drug, label it with appropriate warnings, or promptly respond to safety concerns, they end up breaching their duty to create a safe product. Sales representatives make daily recommendations to doctors about how the drugs they sell can be used. If you were prescribed and then took a drug for something other than its original purpose, the sales rep who recommended the treatment to your doctor may share the blame along with their employer/manufacturer (or distributor). And any "failure to warn" of a drug's dangerous side effects can also land the manufacturer in legal trouble. These are a few scenarios which might trigger a defective product lawsuit against a negligent drug maker. Prescription errors by hospital or pharmacy workers, such as dispensing the wrong dosage or the wrong drug to a patient, account for at least 20% of all medication errors. Dispensing errors account for around 10% of all medication errors. The negligence commonly occurs when a pharmacist or pharmacy tech dispenses the wrong drug because they misread the prescription's directions, gives incorrect instructions to the consumer, or distributes the drug to the wrong patient or in the wrong dosage. Monitoring errors made by nurses and other healthcare professionals occur in hospitals, in-patient facilities, or home care environments. Administration errors are made by support staff and administrators in hospitals or care facilities, or by home healthcare service providers. Some dispensing errors, administration, and monitoring mistakes are also the product of poor communication with prescribing physicians, high patient or staff turnover, under-staffing, and other job-related stress. As you can see, there are a lot of points within the medicine dispensing chain at which an error can occur. Over-the-counter (OTC) medications can also produce medication errors because labels can at-times be vague when it comes to warning consumers of side-effects or other vital information, such as adverse health effects when taken in combination with other drugs. When an OTC drug is often taken without the doctor's knowledge, they cannot counsel the patient on its safety or warn of the side-effects. This can be a recipe for great harm to victims who take a drug or supplement just because they saw a television commercial and it seemed like the right thing to do was to order a bottle. 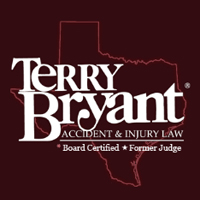 Injured medical malpractice patients are entitled to full and fair compensation for their damages. Unfortunately, getting it can be challenging, even with the help of a seasoned malpractice lawyer; and it is virtually impossible to win a malpractice case without one. Any claims involve a large insurance company which zealously defends its client physicians, pharmacists, hospitals, and drug manufacturers. They constantly oppose reasonable settlement offers, especially to claimants who aren't represented by an experienced drug injury lawyer. The elephant in the room when it comes to dangerous drug injuries is the "Opioid Epidemic." We are now learning that many drug makers were more than "innocent purveyors" of pain killers such as OxyContin. Members of the wealthy Sackler family (owners of privately-held Purdue Pharma LP) pushed their firm to boost sales of "Oxy" and other opioids even as it was becoming common knowledge that the drugs were being abused at a staggering rate, according to Massachusetts' Attorney General Maura Healey. These allegations came from company records obtained for a new lawsuit against Purdue in Massachusetts after three Purdue executives pled guilty to federal charges related to the misbranding of Oxy. The company agreed to pay about $635 million in federal penalties several years ago. Purdue (and other Oxy drug makers) remains a target of many drug injury claims and legal cases, even though last year the company halted all its OxyContin sales. Most prescription errors are primarily those of commission (someone negligently did something dangerous in the creation or dispensing of a prescription or over-the-counter drug). But there are also errors of omission, such as the failure to administer a drug that was prescribed, not dispensing a drug in a timely way, or a doctor's negligence in doing due diligence to assure the patient is a good match for the drugs he or she prescribes. Although they are much more difficult to identify, those who commit errors of omission must also be held responsible just like those who create dangerous drugs. Monday, 11 February 2019 Who Gets the Blame for Drug-Related Injuries?